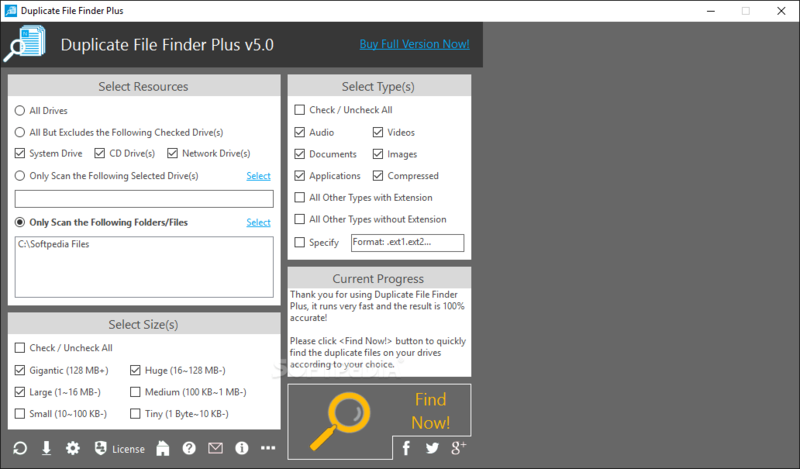 Lightning fast, multi-disk file finder. Scans multiple disks, and within archives. on networks, incl. Novell & Lantastic. FDUP program and manual copyright(c) 1990-1994 by Ray Van Tassle. (excluding printout time) 65,000 files is only 25 seconds on a 486/33. By default, FDUP will ignore some common filenames. You MUST have WIZ installed, and on the PATH. and extended memory), and is *much* faster than FDUP.EXE paging. It seems to be always slightly faster than FDUP. and rename FDUP32.EXE to FDUP.EXE. (WIZDUP.TMP), which FDUP reads, then deletes. quotes, or it won't be recognized as parameters for WIZ. -d = Use disk for swapfile, not XMS. -i = Show only files identical by size. -ii = Show only identical files (CRCs match). -n = Display names only, not paths. -q = quiet--don't print dup's, just summary information. -v = (debug) print paging info. -vv = (debug) print files while reading. * A list of disks, such as: "CDFG:"
* A range of disks, such as: "C-J:"
* A mixture, such as: "C-JWZ:"